Our calendar is full of special events for campers to enjoy. We pride ourselves on providing unique, engaging and educational Shabbat experiences. Every Friday we have all-camp programming, which includes a spirit-filled song session, Israeli dance, T’filah and a special program. The special program is either a field trip or a special on-site program. Field trips have included gymnastics, the Zoo, Museum, bowling, and Big Joel’s Safari. On-site programming may include Shalom, Avahah, Shabbat; Show Me St. Louis; Red, White & Blue Day; Carnival Day. Yom Israel – Planned and led by our shin-shin, camp will “travel” to Israel and celebrate this beautiful country and culture. Yom Sport – This is the exciting color war day when camp is split into six multi-age teams by color. Campers and staff come decked out in their team’s color from head to toe. Teams compete in competitions such as a shaving cream tug-of-war, a sing-off, relay races at the pool, and cheer competitions. It is a camp favorite full of tons of ruach! Last Day – Camp culminates in this fun and emotional day. 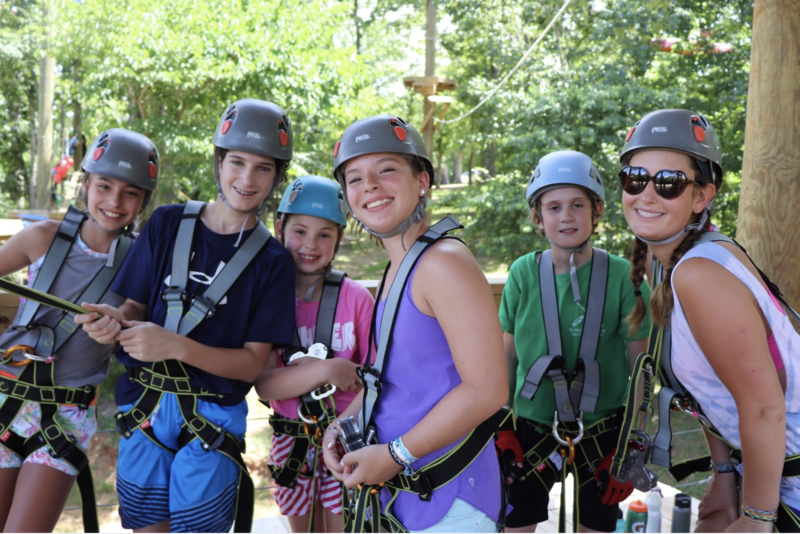 Campers look forward to t-shirt signing, an extended song session, talent show, camper slide show, Vatikim vs.staff kickball game, and tearful goodbyes at carpool. One night each session, campers look forward to either a late night, late-late night or a a overnight…depending on age. All camp stays for fun late afternoon programming and dinner. Our K-1 campers are picked up at 7 p.m., 2nd graders at 9 p.m. and 3-8 graders stay overnight. We provide a safe, nurturing environment for campers to experiment with their independence. For many campers, this is their first sleep out without mom or dad.